MERL’s book club, Rural Reads, has been running for three years. 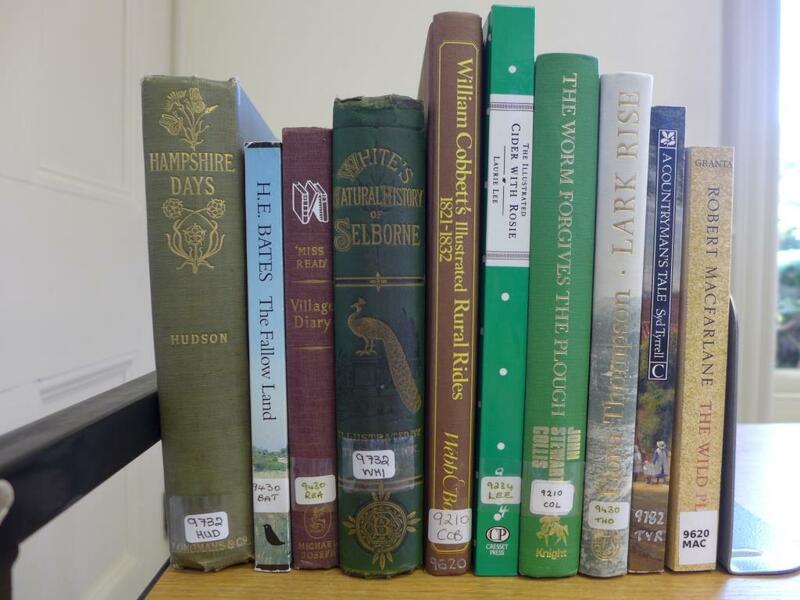 We have read an incredible range of novels, poetry and non-fiction, all with either a rural setting or related to the countryside. In this new feature, Rural Reads regular, Rob Davies, will share his personal views and the group’s reactions to the book they read each month. 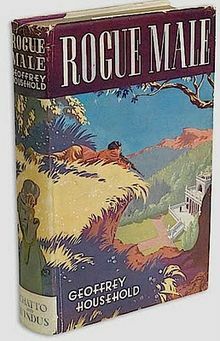 August’s choice of read was Rogue Male by Geoffrey Household. It is a short book of fewer than 200 pages that reads well and is a thrilling page turner. Rogue Male tells the story of the anonymous narrator who is on the run from a sinister agency that has imprisoned and tortured him. Having escaped from their clutches, first of all he heads for London but after a close encounter he makes for the remote countryside of Dorset. Finding an area in the countryside that he believes suitable for his survival, he creates a small hovel which he shares with a wild cat, and the two intrepid survivors learn to find solace within each other. The story culminates with a head on battle of attrition between our protagonist and the agent who goes by the name of Quive-Smith – I won’t tell you the outcome in case you would like to read the book. It is clear that this book, written in 1939, is a forerunner to the great spy novels of our time, in particular those written by Ian Flemming and John Le Carre. Household served with the intelligence services during the war and has poured his training, maybe even experience, into the novel. The rural themes of the novel are based around survival and using nature, the countryside and inhabitants of rural communities as a method of survival. It explores the reality of living rough and being exposed to the harsh milieu that is the countryside, removing the reader from the rural idyll which we automatically conjure up in our minds when thinking of the English countryside. It is fair to say that Rogue Male is quite different from the usual books that cross our laps at MERL’s ‘Rural Reads’ book group! Yes, it is set in the countryside but this is tale of a British gentleman on the run, with nothing but his survival skills and raw human instinct to save him from a persistent hunter. We felt as a group it was very much a “boys own” book but this doesn’t necessarily mean that we didn’t like it! Reviews from the book of the group were varied; we all enjoyed it and thought it was a quick read. However some felt it was claustrophobic and found it difficult to read, not because of the style of writing but due to the intense situation the author was describing. I personally enjoyed the book, again it is not the usual style of book I usually read (but that’s the point of book group). I thought it was an easy page turner, with a tale that will grip you by the hand and drag you along. The book to read for this month’s meeting on September 26th is The Worm Forgives the Plough by John Stewart Collis (Read a review in The Guardian here). Don’t worry if you haven’t been before, everyone’s welcome and we’ll even offer you a free cup of tea and a biscuit on your first visit if you mention this blog post! Further details are on our website, where you can also find a full list of all the books we’ve read since the club started in 2010. All the books were chosen by the group members – often the discussion about what to read next takes just as long as the review discussion, so if you have some ideas about more books to read, just bring along your suggestions and be prepared to argue your corner!